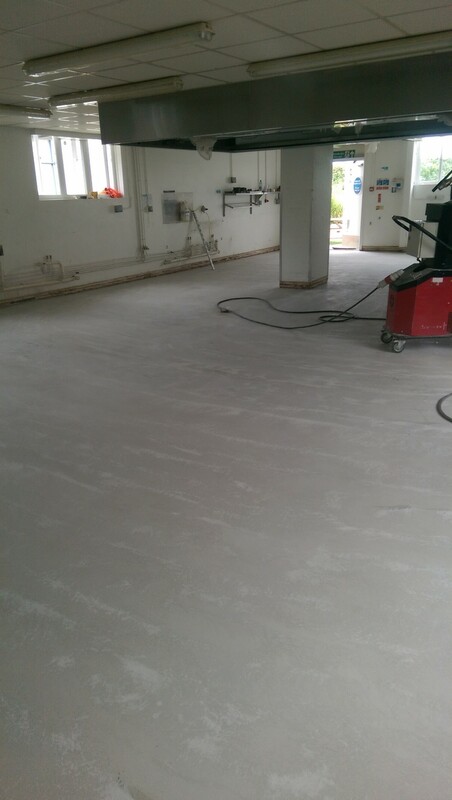 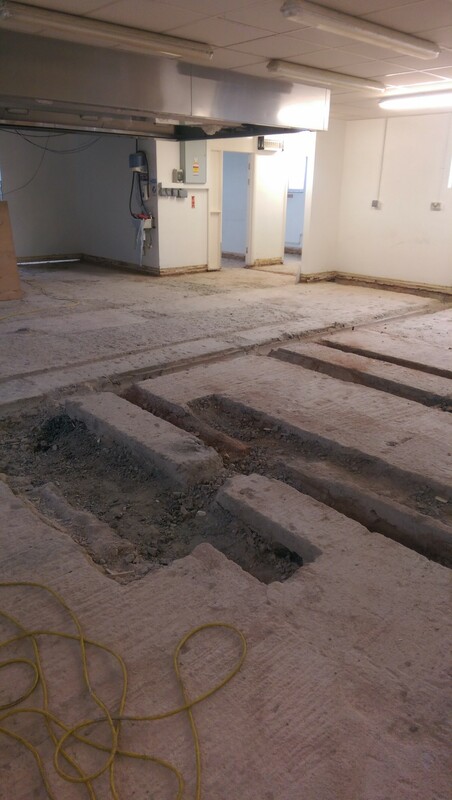 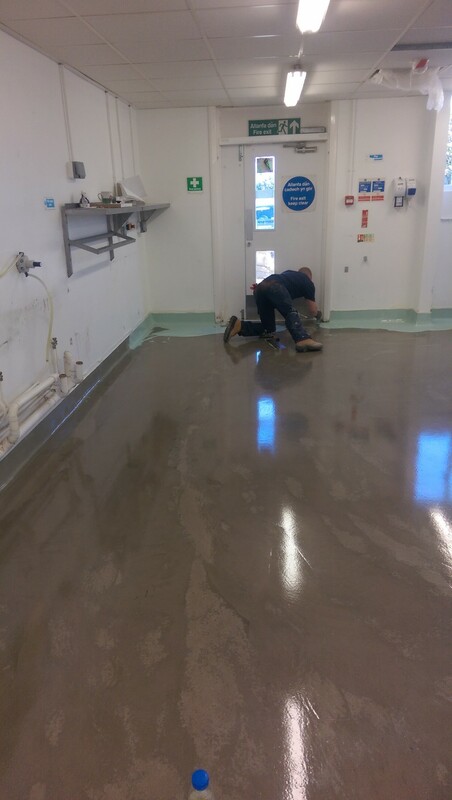 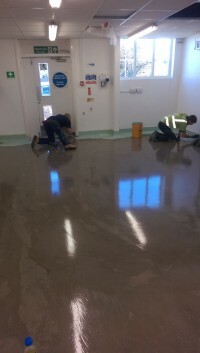 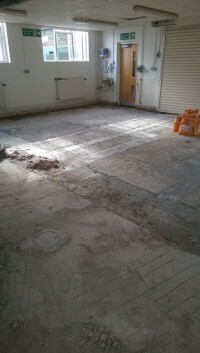 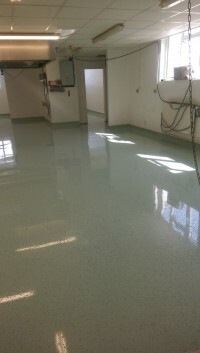 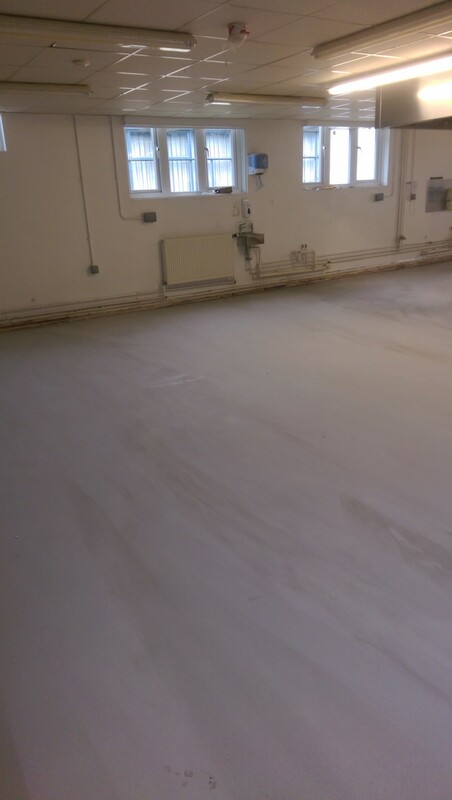 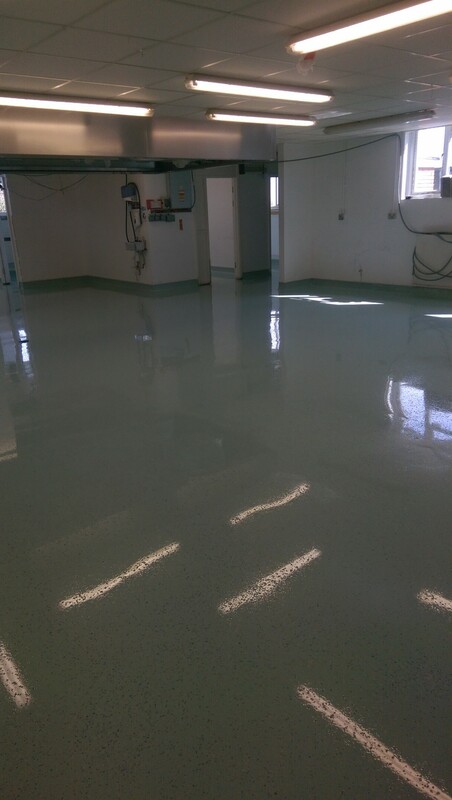 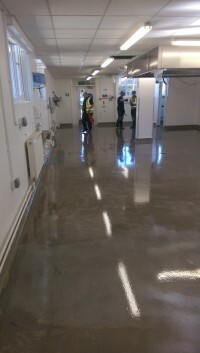 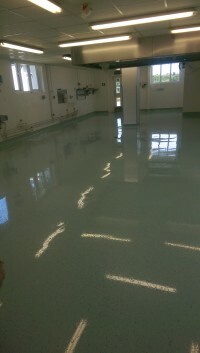 Orchid were contacted to help restore a floor in a school kitchen area in Aberconwy, North Wales. The floor area had fell into a considerable state of dilapidation and had become a risk for the staff using the area on a daily basis. 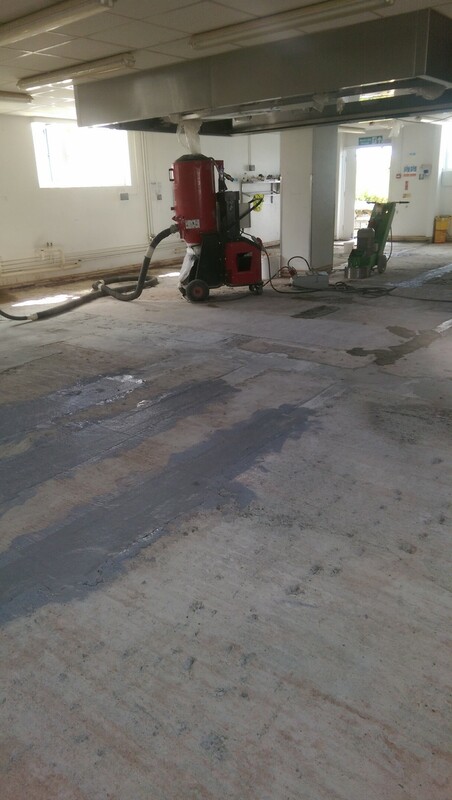 Orchid had break out all the areas where the floor surface had failed, which resulted in sizeable channels of floor surface being removed from the existing slab. 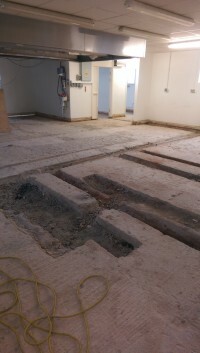 These channels were then in-filled with repair mortar to bring the channels back level with the surrounding floor level. 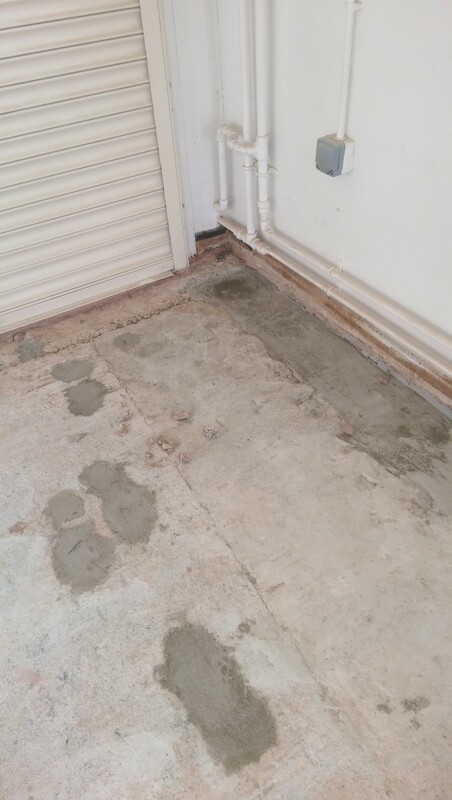 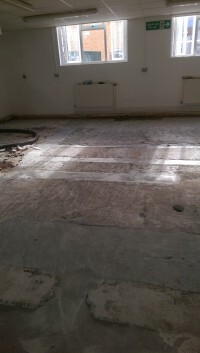 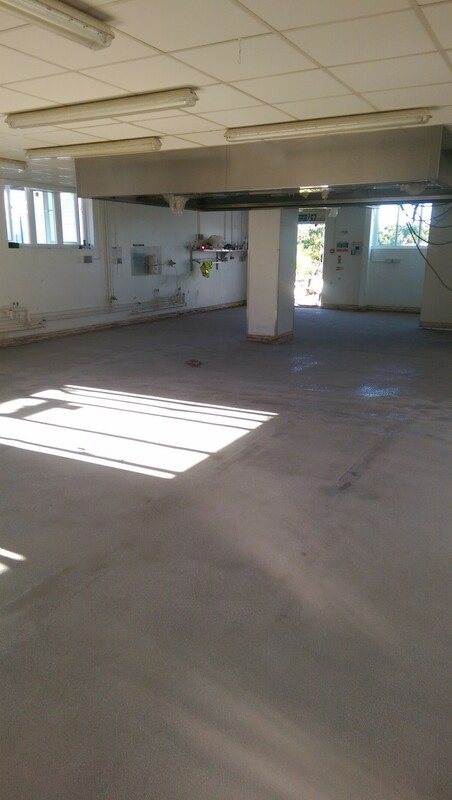 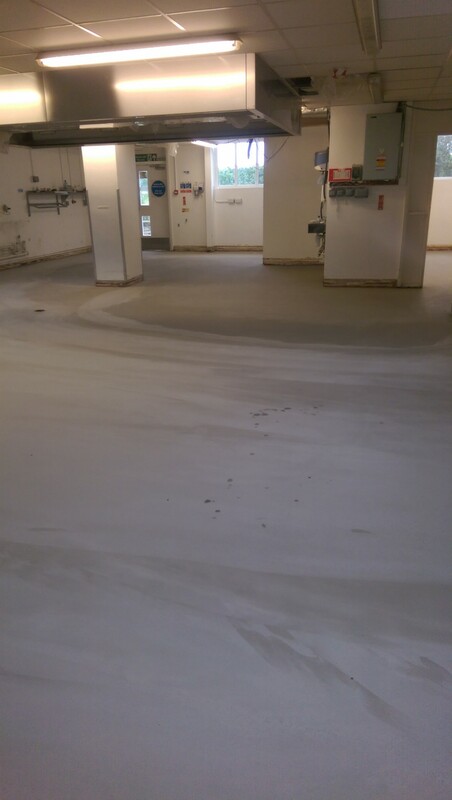 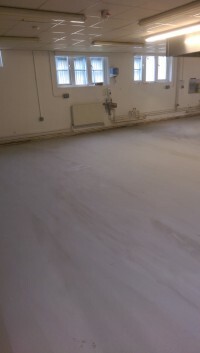 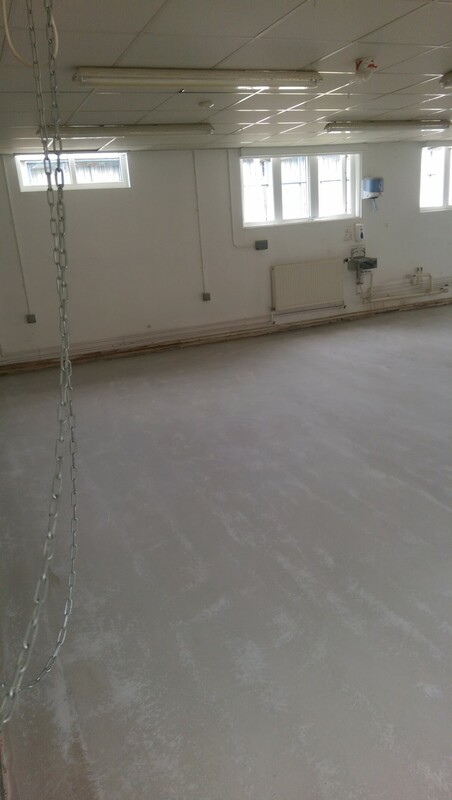 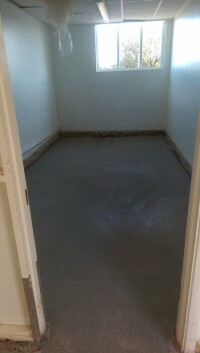 The floor was then subject to a pump screed to provide a high-performance, cementitious, self-smoothing surface, which is ideal for providing a reliable underlayment. 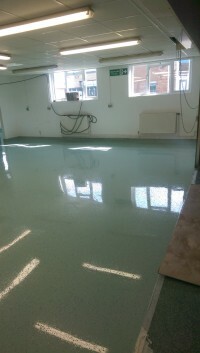 Before the top coating was applied a liquid damp proof membrane was installed to seal the floor. 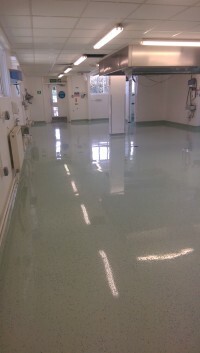 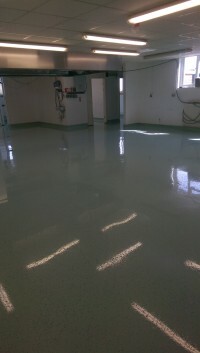 The top coating system selected for the environment was Sika’s Comfortfloor. This was due in turn to its suitability for commercial and public buildings such as schools, museums, retail facilities and leisure. 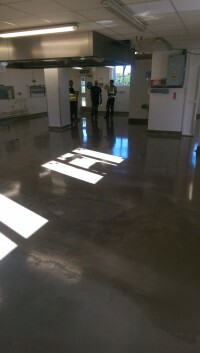 It is perfect for busy areas and especially for where personnel are stood for long periods. It is also a hygienic and easy to clean coating which inhibits the growth of fungus and bacteria thanks to its seamless installation as opposed to vinyl which is used in many similar instances. The school were more than happy with their new kitchen floor area and gone were the safety risks associated with the previously degenerated floor surface.